Join AppWorks. Speed up your growth. Be part of the strongest founder community in Greater Southeast Asia. We got honest feedback from AppWorks partners, met fellow founders who became life-time friends, and continued to benefit tremendously from the AppWorks network long after graduating from the accelerator. Joining AppWorks is one of the best decisions AsiaYo has ever made. Every 6 months, we invite up to 40 of the most talented AI & blockchain startups across Greater Southeast Asia to join AppWorks Accelerator. The AppWorks Team, our 60+ mentors, and the alumni community are all there to help you fine-tune your product and business model. And when Demo Day rolls around, you get to tell your story in front of 1,200 investors and potential business partners that are interested in collaborating with AI / Blockchain startups. There is no better way to get connected and win partnerships. Best of all, it’s completely free for startups to join. A small team working out of a garage is no longer the most efficient way to build a startup. It’s difficult for an AI startup to establish a strong data pipeline or stay up-to-date on the latest algorithm breakthroughs, for an IoT startup to source and work with suppliers and manufacturing partners, for a blockchain startup to keep up with everything going on in the crypto world. Building a startup in an accelerator, together with a group of smart and driven founders all working on the most cutting-edge technologies is a much more effective way to solve the above problems, while maximizing your chance to make a big impact in the 21st century. What will you get at AppWorks? The AppWorks Network is really powerful. Within days of joining the Accelerator, I was already connected to all the e-commerce platforms I could work with. It would have taken me months if I were to do it alone. In terms of size, AppWorks is the largest community of its kind in Asia. But more importantly, our culture of “paying-it-forward” and helping each other out is the real reason why it’s so valuable. 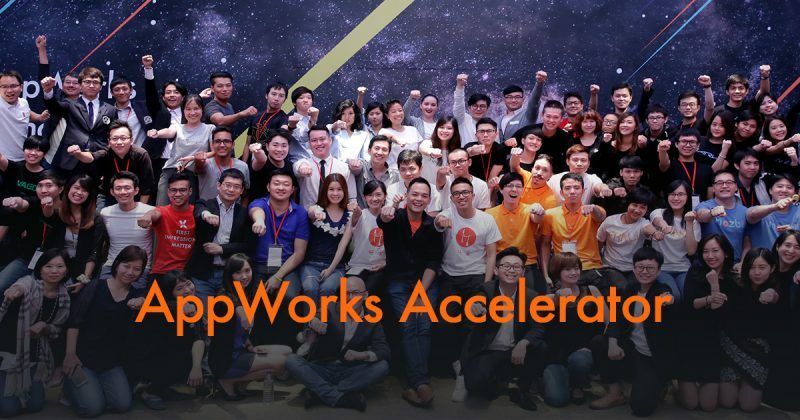 For startups of various stages, AppWorks is one of the best Accelerators in the Asia region. Professionally run, large network, and quality alumni base, it’s also equity free to boot. As with anything it requires time and effort to stay engaged and to get the most out of the program, but the investment is for sure a worthwhile experience. AppWorks provides incredibly supportive mentorship to startup founders. All their partners and staff maintain tight-knit relations startups that went through the accelerator program and can provide advice and guidance specific to the problems (e.g. finance, HR, PR, fundraising) faced by startups. Steven Ho, Founder of 91APP whose previous startups were successfully exited to eBay and Yahoo! ; Ming Chen, Founder of KKday who successfully completed 2 IPOs and 1 M&A exit earlier; Jerry Kuo of Kuo Brothers (創業家兄弟) who built his company from the ground up to IPO; Together with Mike Jiang of GameSofa, Nathan Chiu of cacaFly, Joseph Phua of M17, Siu Rui Quek of Carousell, as well as 60+ other successful startup founders are all AppWorks Mentors that you can connect and build a lifelong coaching relationship with. As founders who are always out there grinding and battling, there is nothing more important when your investors are respectful and supportive of your decisions. AppWorks is hyper active in providing support and connections for the startups while instill great confidence in founders even during the toughest periods of the startup life cycle. Venture capital is a sophisticated and complex ecosystem filled with firms specializing in different segments for various startup stages. It is also brimming with a slew of complicated terms and game rules. First-time founders often find the learning curve difficult to overcome and getting to the right investors a daunting task. That is why AppWorks is also a VC firm ourselves so we can better help you on the fundraising end. Whether it’s putting together your first round of institutional financing or launching an ICO, we’re always ready to put the money to work in our startups, with 2 funds and US$ 61 million under management and a 3rd fund of US$ 100M closing by the end of 2018. After all, who knows our startups better than us? On top of that, we can often act as the bridge between our startups and the venture capital community by leading financing rounds and putting together a syndicate tailored to your needs.